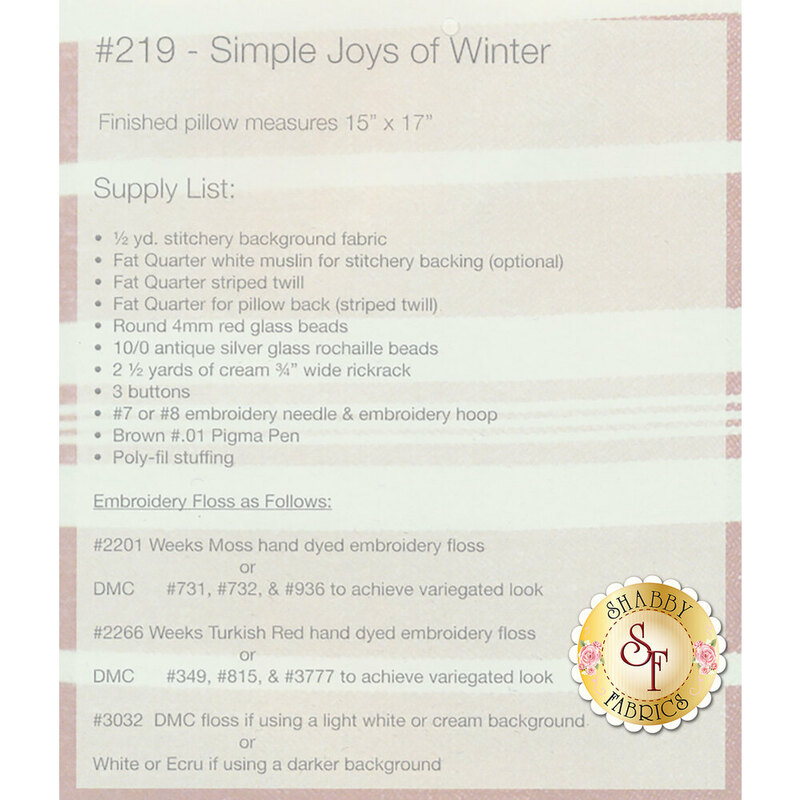 This fun and festive pattern by Meg Hawkey is called Simple Joy of Winter. Piecing is quick, simple & so easy! 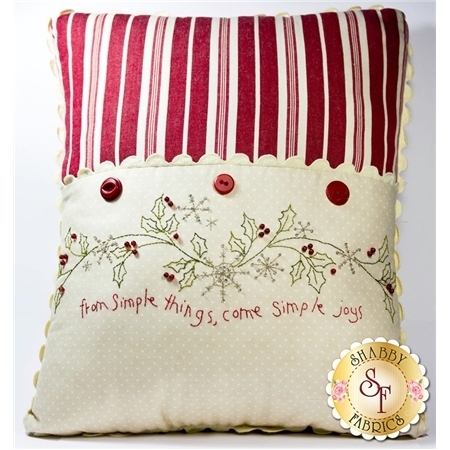 Pattern includes instructions to sew a 17" X 15" hand embroidered pillow.